Heat a pan and gently cook the garlic in the Camelina Oil for 2 minutes. Then add in the beans, rosemary and thyme and gently cook for 4 – 5 minutes. Tip into a blender with the salt, lemon juice and parsley and blend until desired consistency reached. Or mash bean mix with a potato masher, add in remaining ingredients and combine well. 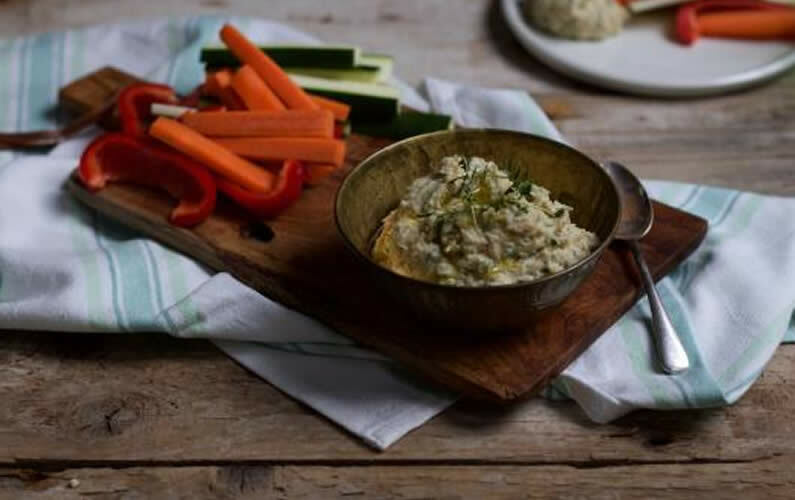 Serve as a dip or spread, or as part of a salad plate.